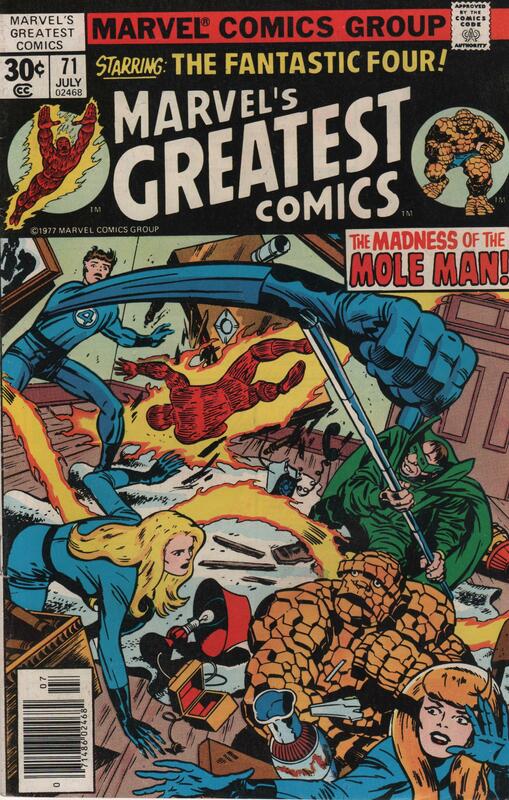 Marvel’s Greatest Comics #71, 1977 “The Madness of the Mole Man” | Magazines and Monsters! Switching gears for a moment away from the Marvel team books, I’d like to showcase this one adventure of the Fantastic Four. 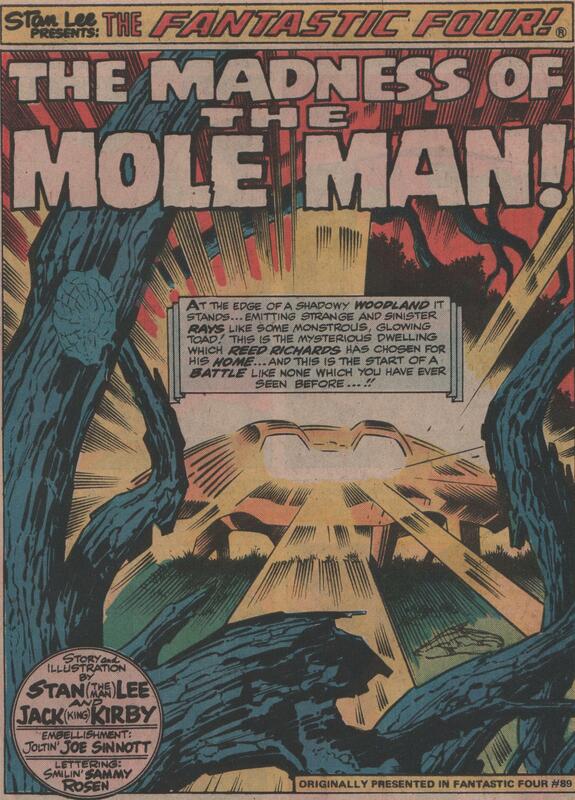 There very first adversary, and always a classic, the Mole Man, is back, and ready to finish off Marvel’s first family! 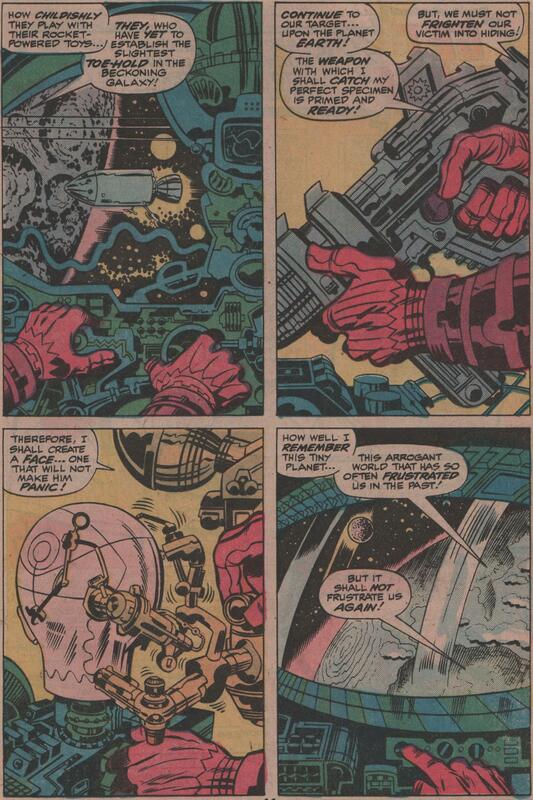 The brilliance of Jack Kirby shines through, as we see a subterranean skirmish, a wonderful photo collage of outer space, and the electronic wonders of Kirby’s limitless mind. You come to expect this when you read anything Kirby, and that is the greatest testament to the man’s status as a comic book genius. 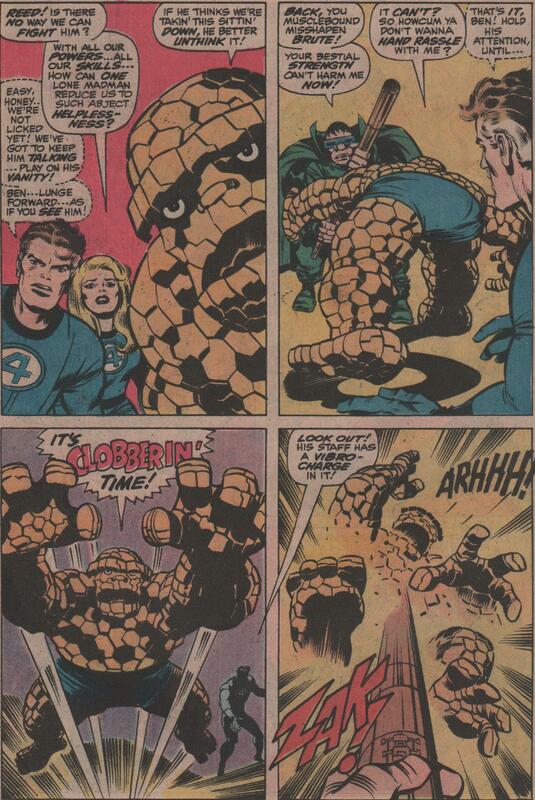 Honestly, you can never go wrong with Kirby/Lee Fantastic Four. 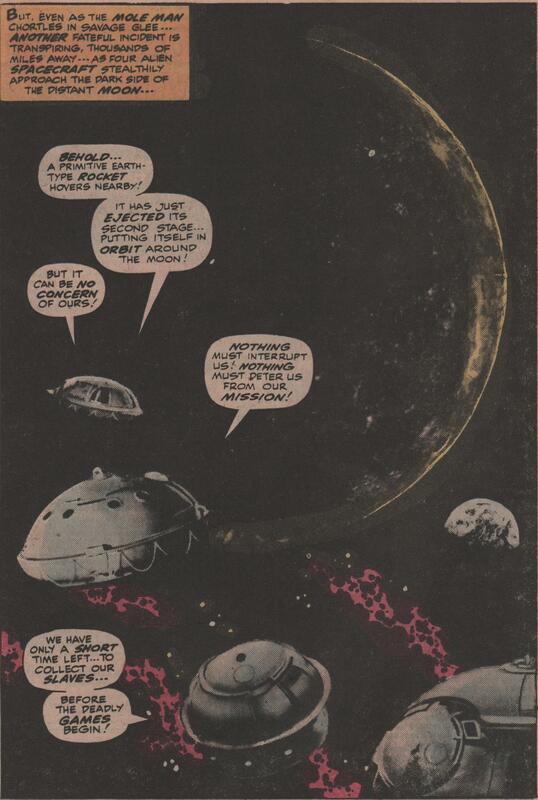 These issues had a certain newness to them, and a charm that no other comic book has had ever, or in a very long time. 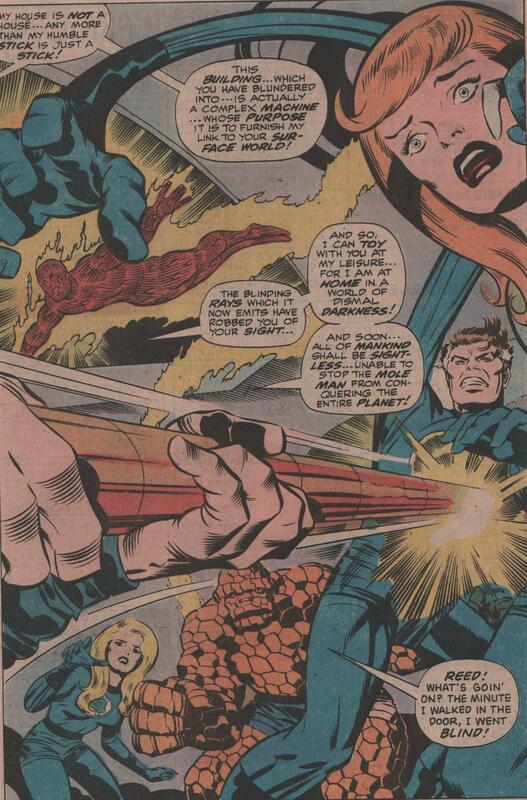 Written by Stan Lee, art by Jack ‘King’ Kirby & Joe Sinnott, and letters by Sam Rosen! A marvelous splash page of the Mole Man attacking the team is just one of the gems in this issue! Enjoy! Th other pages are quite astounding too!